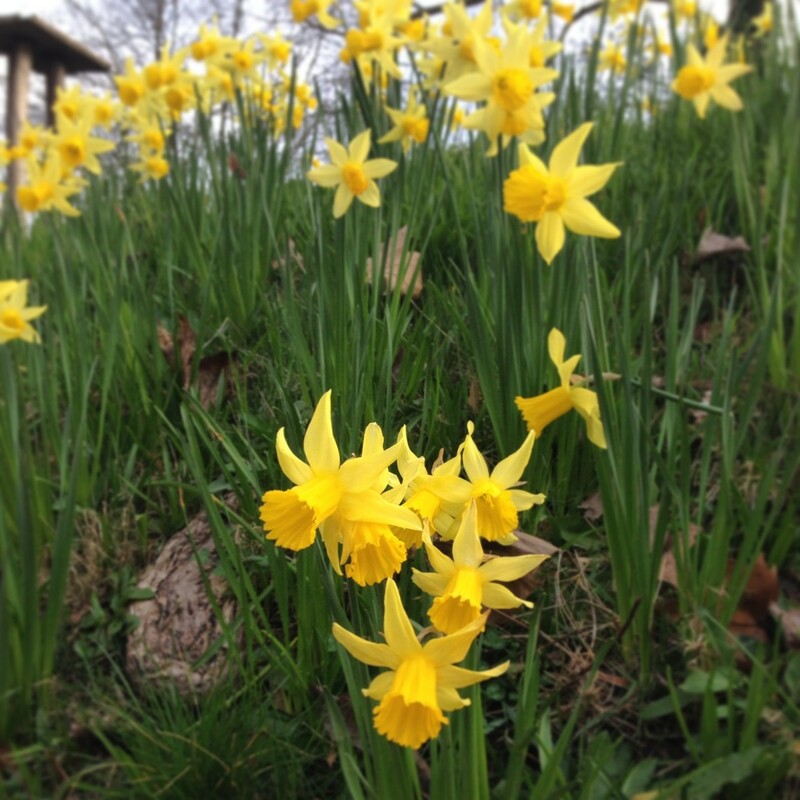 Spring has sprung, and the daffodils here at Special Collections are out in full force! If you’re coming in or even just passing by, take a moment to enjoy them. ‘The making of world literature in the 1920s and 1930s’ – don’t miss the last in the current Archives & Texts series! Marketing international modernism in the 1920s and 1930s was a complex business, not least because of different structures in the publishing world in the U.S., Britain and Europe. Daniel Göske and Christian Weiß will approach this intriguing problem of texts in transit (across borders, literary markets and languages) by looking at some of the often forgotten “middlemen” (and “-women”) of literature: publishers (and their wives), literary agents and, mainly, translators who sometimes acted on their own in making contacts with “their” authors. The focus of the talk will be on the early German reception of, among others, Hemingway, Virginia Woolf, D.H. Lawrence and Aldous Huxley, and it will draw on unpublished material held by Reading’s very special Special Collections. You can learn more about the series co-organised by the Departments of English and Modern Languages on their blog. 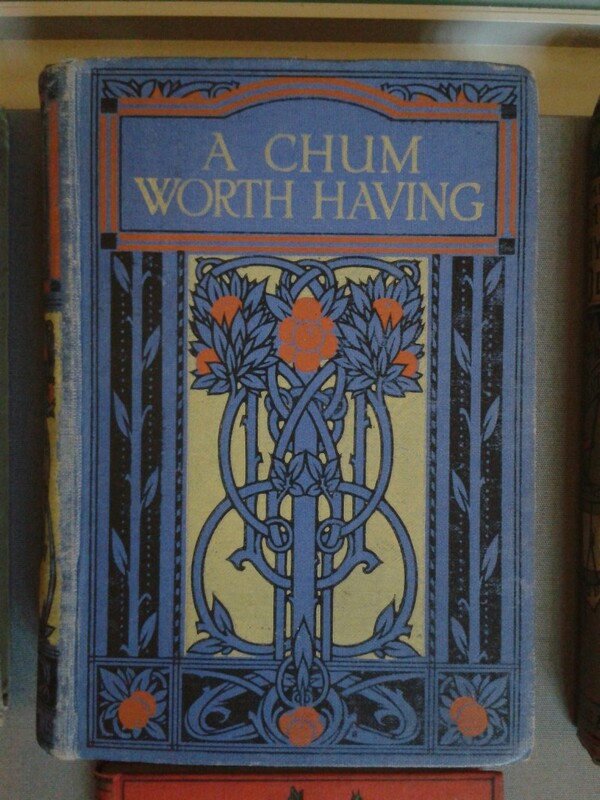 This was the title of a recent seminar given as part of the English Departments’s latest Archives & Text series which I attended with volunteers Kaye Gough and Ann Livingstone. Kaye is involved in a multitude of volunteering activities with MERL and the Special Collections. In this post she gives us her thoughts on a fascinating and lively seminar discussing the role of women in children’s publishing. This seminar was presented by Dr Lucy Pearson, Lecturer in Children’s Literature at the University of Newcastle, whose recent book ‘The Making of Modern Children’s Literature in Britain’ covers publishing and criticism in the 1960’s & 1970’s. Lucy’s focus here was on the growing impact of the lady editor on published literature for children during the 1940’s to 1970’s and in particular that of Kaye Webb. In the early days many were viewed as ‘dessicated spinsters’; educated women working for pin money or in secretarial and administration roles helping to oil the wheels of the business, their actual contribution unrecognised. 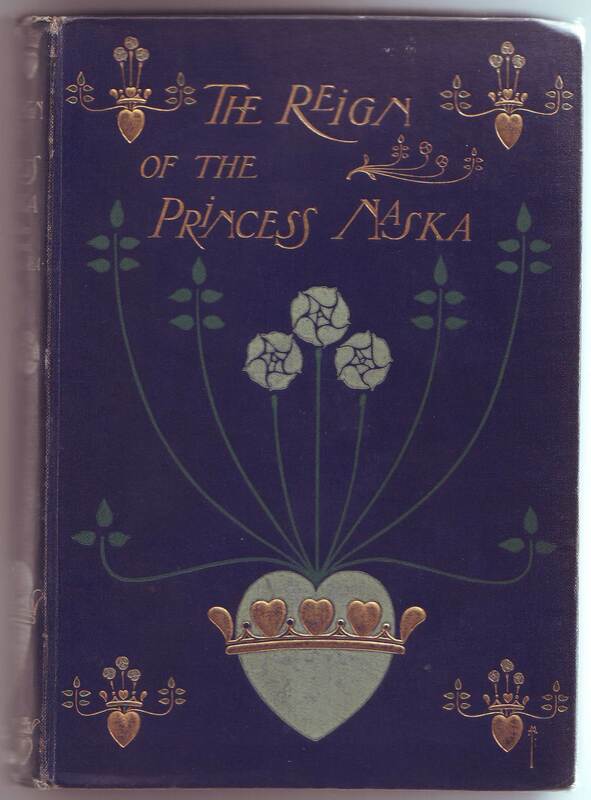 Then some professional women editors and authors, with prior media experience arrived on the scene such as Grace Hogarth and Eleanor Graham who began to introduce better quality children’s literature and to make a positive difference. 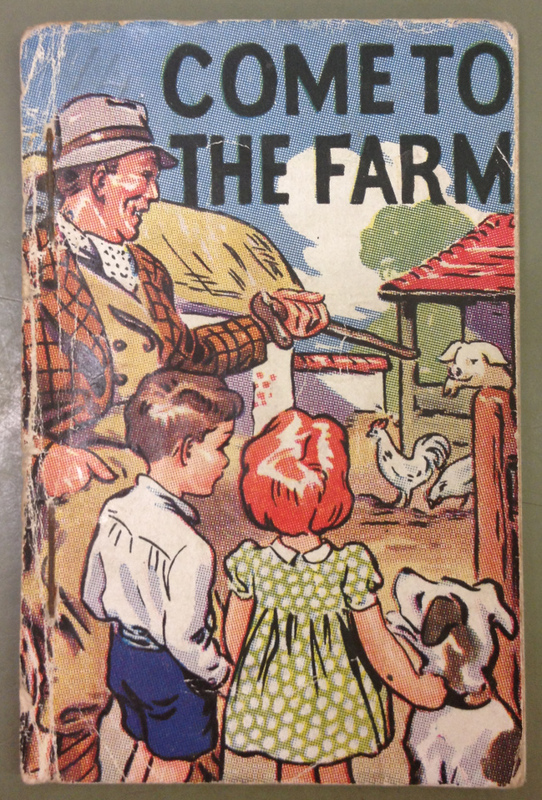 Despite the knowledge they brought to their positions and the impact they had, it is perhaps only in retrospect that their contribution to children’s publishing has been identified. However, it was Kaye Webb, who implied that it was through social networking, ‘we met at a party’, that she obtained her job at Puffin. In fact she was a talented woman who cleverly utilised her femininity and personality to achieve her aims. 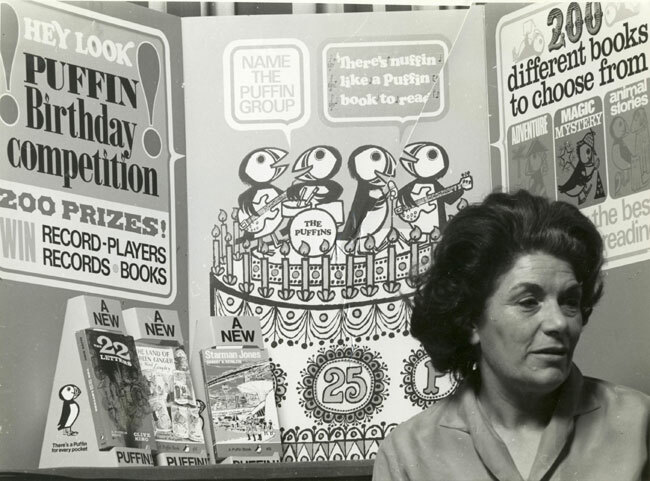 Disguised underneath that facade there lurked a shrewd businesswoman with marketing flair who successfully launched the Puffin Club, introduced new authors and welcomed a whole generation of children to reading. During this seminar, I reflected on how women’s job opportunities have improved since that time. When in the late 1960’s I joined the hotel and travel industry there were no female sales managers, chefs or hotel managers and a secretarial or administrative role was generally the only way into the business. We were only expected to be support staff to the management i.e. Men! Educated to be either teachers and nurses or simply secretaries or dare I say – housewives! We have been left a positive legacy in children’s publishing from the lady editors Lucy covered in her seminar. Some may have started out in positions beneath their competence or were not seen as serious contenders for a key role in publishing, despite their obvious qualifications and capabilities. However, once through the door, these women were to have a major impact in generating a new and more significant department within publishing as well as enriching children’s literature. Photograph of Kaye Webb reproduced with the permission of Seven Stories National Centre for Children’s Books. You can find out more about the Kaye Webb collection at Seven Stories here. BBC Radio 4 is running a second series of ‘Publishing lives‘ this week, aired at 13:45 each day. Kaye Webb was the subject of Monday’s programme and today we see Norah Smallwood in the spotlight. Smallwood rose from publisher’s secretary to board member at The Hogarth Press and Chatto & Windus. The archives of these publishing firms are held here in the Special Collections on deposit from Random House. Norah Smallwood’s letters can be found in among the files of editorial and business correspondence. Brian Ryder is one of our volunteers here at Special Collections. Brian’s history with Reading collections is a long one; he used to be one of our project cataloguers and is now working his way through the Routledge & Kegan Paul archive. On March 13th 1952 the composer Benjamin Britten (1913-1976) – on holiday in Austria – replied to two letters from Herbert Read (1893-1968) which had been sent on to him from his home in Aldeburgh. 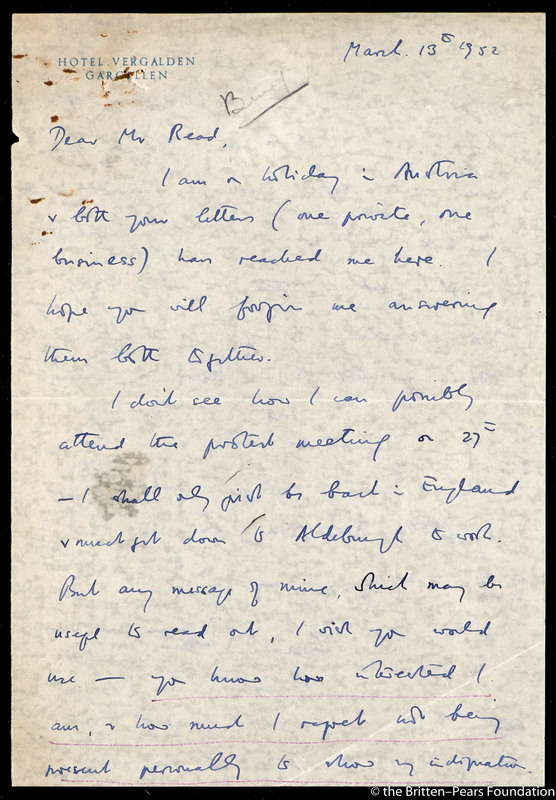 Read’s first letter came from the publisher Routledge & Kegan Paul, where Read was a director, and mentioned the possibility of meeting for lunch to discuss an idea of Britten’s for a book he was contemplating writing (carbon copy on file RKP 1951-1952 BER-BRO held in the Routledge archive, Special Collections Service, University of Reading). The second letter letter holds more personal interest. 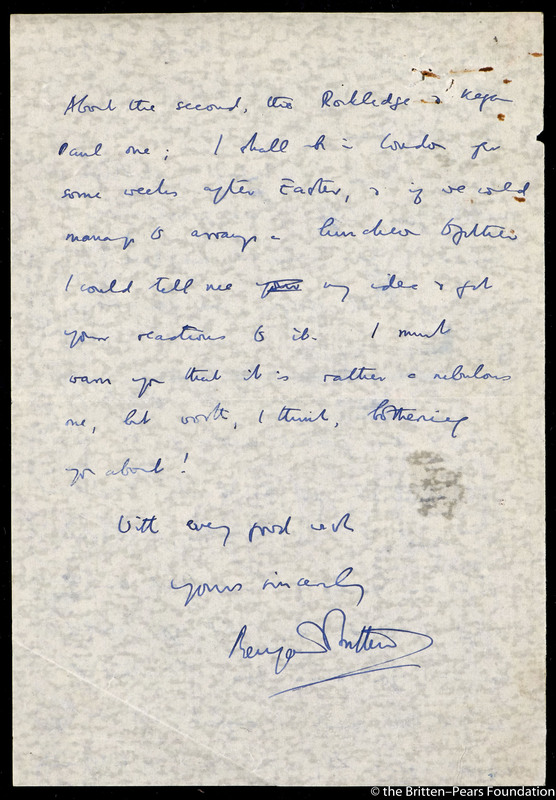 It came from Read the anarchist rather than Read the publisher and, unlike Britten’s reply, was not lodged in the company’s files. The two men had known each other for some years and had been founding members of the Freedom Defence Committee, of which Read was chairman. Active from 1945 to 1949, its aim had been to ‘defend the civil liberties of all citizens’. The last few words of this passage had been lightly underlined with a coloured crayon, presumably by Read with the idea that he might relay them to the meeting. The protest concerned the assassination of five Spanish anarchists by Franco’s agents. A leaflet protesting at these executions reports that a large public meeting entitled ‘An appeal to the public conscience’ had been held in London on March 27 1952 at which the speakers included Herbert Read. Read remained heavily involved in the anarchist movement, although he accepted a knighthood in 1953, and his writings on politics, art and culture totaled over 1,000 titles. 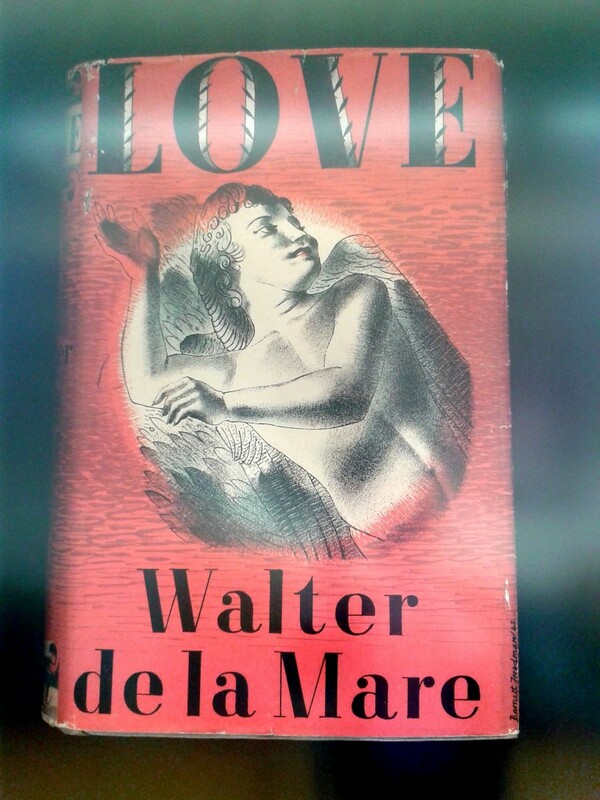 Happy #WorldBookDay from Special Collections! Since 1995, the first Thursday in March has been celebrated as World Book Day, with school children across the UK being given book vouchers and many given the opportunity to go into school dressed as their favourite character from a book. 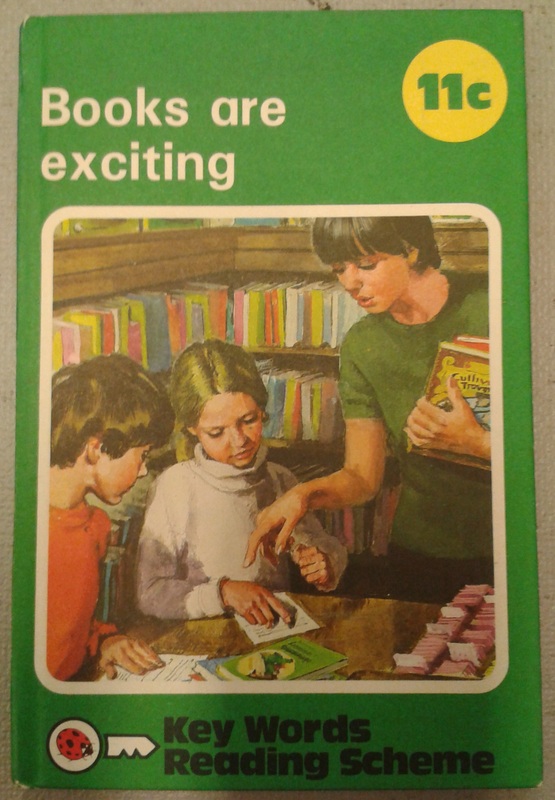 On this day of celebration we thought we would bring you a few highlights from our Ladybird and Children’s Collections. Enjoy! The remarkably diverse collections held by the University of Reading’s Special Collections service and MERL are currently being celebrated with displays of new collections based art work in our reading room, highlighting the visual appeal of many of our rare books and archives (which are usually kept safely in our store). Come in and visit to see the colourful images, chosen by our staff, of these treasures on display thanks to our conservator, Fred. Here are a few pictures to capture your interest! 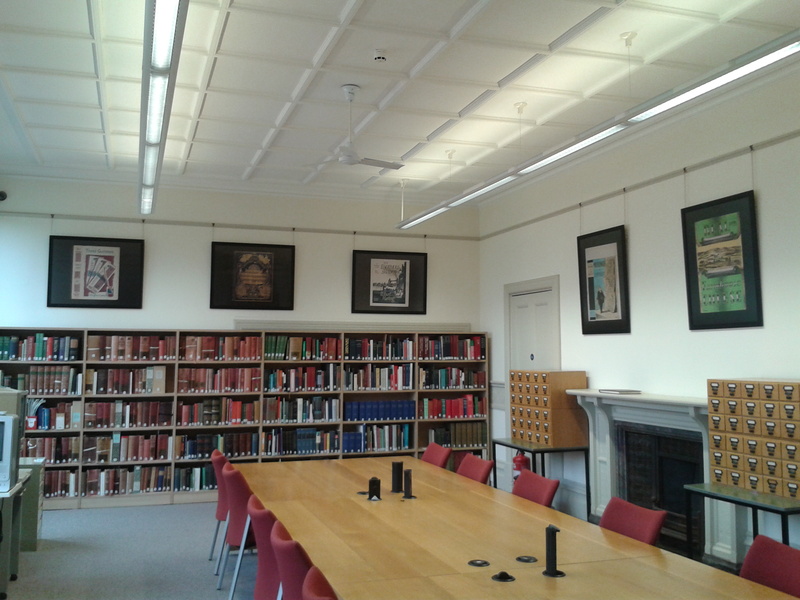 The Reading Room display features five images of book covers (including highlights from our Great Exhibition and Finzi collections) alongside original art work from the Chatto & Windus archive (including the cover for Mr Beluncle by V.S. Pritchett in 1951 and the intriguingly entitled 1955 The Enormous Shadow by Robert Harling). The images are truly beautiful and capture the items in 3D, drawing attention to the importance of the history of the items as objects as well as for their illustration. 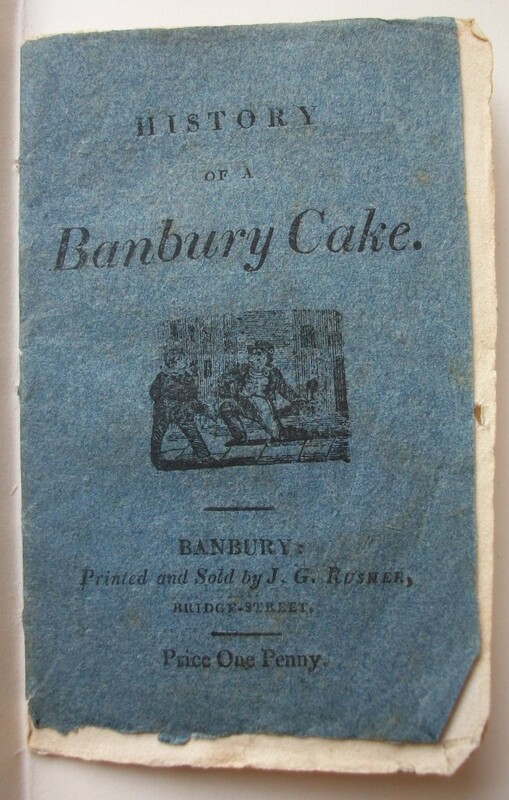 MERL is also represented in an image of a title from our Printing collection, of the rare Barnett Freedman’s 1939 Real Farmhouse Cheese. 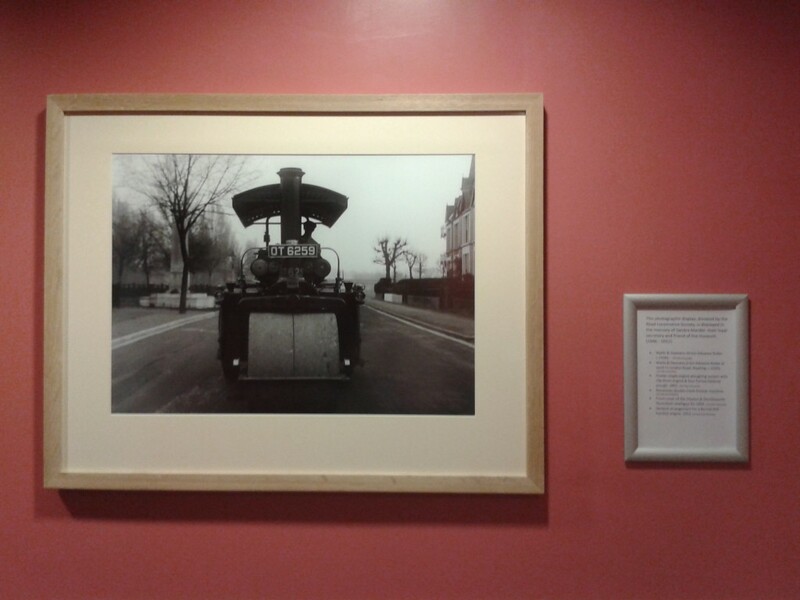 Traveling through the reading room into the MERL library corridor, you will be greeted with more newly displayed images taken from the MERL photographic archive. Represented here are the Fowler, Ransomes, Burrell and Clayton & Shuttleworth collections, in a display funded by the Road Locomotive Society in memory of their friend and secretary Sandra Marder. We think these displays are a great way to celebrate the visual nature of our manifold collections, whilst really brightening up both the reading room and MERL library corridor – please come along and take a look!